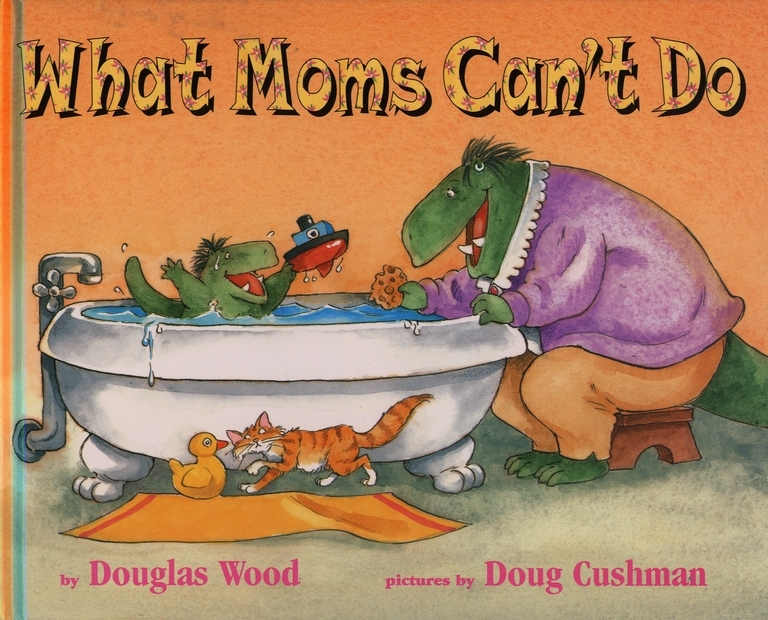 There are lots of things that regular people can do, but moms can't. Moms can't wait to wake kids up in the morning. When they watch movies, they need protection from the scary parts, and they can't sit very long without someone on their lap. Moms also can't let go of a hug without a kiss. Or two. Or nine. No wonder they need someone to look after them, I mean, after all, they're just moms!